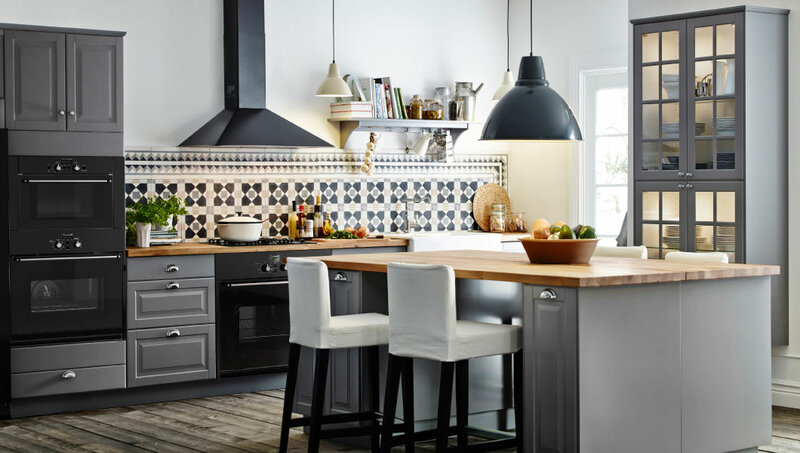 Today we would like to tell you about IKEA kitchenOr rather not even really about them, and about the fact - whether or not to buy IKEA kitchen. Probably a lot has already been written, a lot of reviews on the internet on this subject, and we kind of published articles about food, but still I would like to repeat, since the topic is interesting enough, and in some ways contradictory. So, to order or not to order the kitchen at IKEA, and if ordered, what. Let's start, perhaps, with the fact that for certain secondary characteristics of the kitchen for the company IKEA have not the least role. "By what?" You ask. First of all, if you've been to IKEA stores, you've definitely walked past the kitchen department, and could not help paying attention to the number of consultants in it-such a large number of consultants you will not find in any other department of IKEA. What else? IKEA is famous for its friendliness and the possibility of self-assembly, but in addition to facilitating the work, including its consultants, IKEA produces a large number of manuals for self-selection of one or another furniture and programs that you can use on their own and come to the IKEA store with its own design. One such program is the program for design kitchen, and on the IKEA website that is the first in the list. Well, actually, it was a digression, but we wanted to show that IKEA really pays much attention to their cuisine. Go through each of these items. So fittings. If you are ever faced with kitchen fittings, You probably imagine what it is and how it works. We will not go into the technical details, except to say that IKEA in their kitchens uses hardware Austrian company Blum. 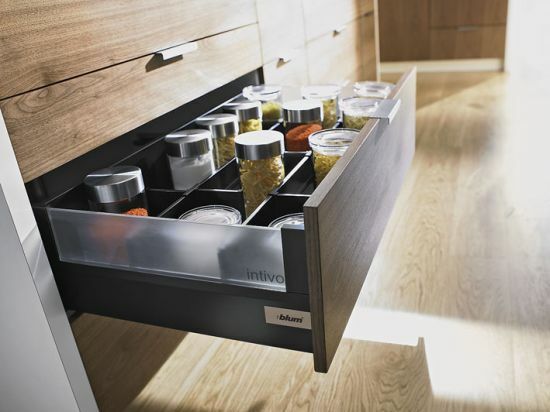 And Blum is a world leader in the manufacture of kitchen accessories. The only exception to this rule are perhaps only the cheapest food IKEA - Albret. 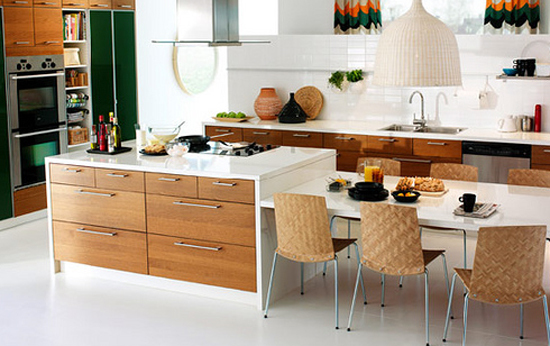 Below we will say a few words about this series IKEA kitchen. To my great regret, IKEA stopped using the BLUM hardware somewhere in the 2013-2014 area. Now there is some kind of incomprehensible crap with which the boxes slap and do not close gently: (BLUM was left only in heavy wide 80 cm drawers.